Tremendous thanks to all our friends at the Walmart Southington for awarding LISA, Inc. with a $500 Community Grant. The funds will be used to help the young men and women in our programs personalize their rooms/apartments with decor such as pillows, wall art, and picture frames. 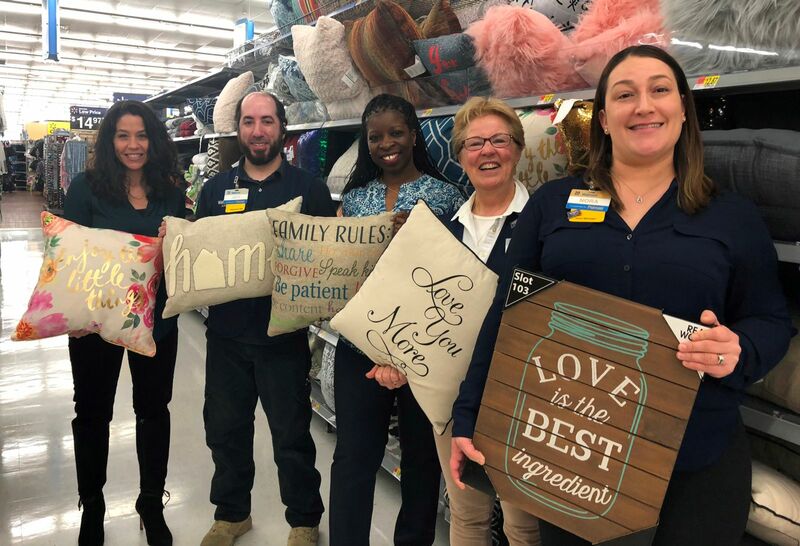 Showcasing decorative styles are: Liz (Associate Dir of Development with LISA, Inc.), Jeff (Walmart Pharmacy Dept Mgr), Mercedes (Director of Program Operations with LISA, Inc.), Marybeth (Walmart Personnel) and Nora (Walmart Store Manager).